You can access the full Alaska Employment Law Manual (over 50 state-specific reference resources) and Employee Handbook templates (over 25 state-specific handbook policy templates) below, as well as view key state and municipal deadlines, additional state-specific resources and links to key municipal coverage. Updated to reflect the 2019 annual inflation adjustment to the minimum salaries for overtime-exempt executive, administrative and professional employees, effective January 1, 2019. Does This Law Apply to My Organization in Alaska? Updated to reflect amendments regarding workers' compensation, effective November 11, 2018. Updated to reflect amendments regarding covered employees and retaliation and interference, effective November 11, 2018. Updated to reflect the 2019 annual inflation adjustment to the state minimum wage. Updated to reflect handbook-related provisions related to statewide smoking ban, effective October 1, 2018. 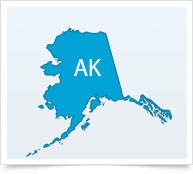 A round-up of the comprehensive state coverage XpertHR offers to help Alaska employers ensure they are compliant with state HR and employment laws.